Thinking about purchasing a pre-owned vehicle? There are some of benefits to consider. New vehicles depreciate 10% the minute they leave the dealership. According to CARFAX, a new vehicle may continue to depreciate as much as another 10% each year. When you purchase a pre-owned vehicle you are actually benefitting from this depreciation and saving money rather than losing on your investment. Online resources such as Kelly Blue Book, (KBB.com), CARFAX.com, and CARS.com have reduced the guessing game when it comes to choosing a used vehicle. You can view maintenance records, accident reports, and recent prices to make sure you are getting the best deal. No matter how much research you do before you purchase a used vehicle, there is always anxiety over the mechanical reliability of the one you choose. Why was it traded in? Am I buying someone else’s problem? Should I buy a new car and take the depreciation just to get a warranty? The good news? You can address these concerns with the peace of mind you will find in a Vehicle Service Contract, (commonly referred to as an aftermarket warranty). Vehicle Service Contracts, VSC’s, offer help in paying for those mechanical repairs which can be financially devastating. 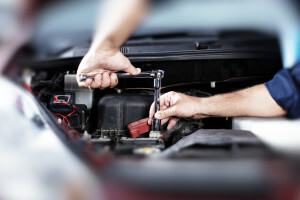 They often offer the security of roadside assistance. A VSC lets you drive with confidence you will have a partner by your side when you need it. What Should You Consider When Purchasing a Service Contract? Every vehicle service contract is different and should be read over thoroughly before you sign. It is important to understand what is covered as well as the entire claim process. Coverage should be explicitly spelled out, so you know exactly what you’re purchasing. If the language is vague, this could be a warning sign. However, most misunderstandings in coverage occur because the customer didn’t take the time to review what they purchased rather than the provider being intentionally vague. Other things to note on your VSC? You should also ask questions about the provider of the VSC. How is the company rated by the Better Business Bureau? Are they insured so you are guaranteed protection for the life of your contract? CARS Protection Plus offers a complete line of VSC’s to fit every budget, maintains an A+ rating with the Better Business Bureau, and is underwritten by Dealer’s Assurance Corp. If you are considering the purchase of a used vehicle, CARS Protection Plus will give the peace of mind you deserve, at a price you can afford.